This event-based mystery details the story of a family split apart into two different planes. The half that goes ahead on a plane that lands without issue. The second has some turbulence but otherwise seems fine. However, when that plane lands, the people on it, including half of the family, Ben (Dallas) and Michaela (Roxburgh) find themselves 5 years into the future. Their families have aged, and many of the people in their lives have moved on. However, the son who’s cancer was once incurable can now be helped. They have some kind of second chance. According to the Hollywood Reporter, the story also deals with the theme of “Faith vs. Science” as Ben, who has a science-based worldview and Michaela, a lapsed believer, both have to deal with the impossibility and the reality of their situations. They are, along with their other plane members, also beginning to experience odd side effects from the crash such as hearing voices. Even the actor’s don’t know what is in store for them in with Dallas saying, “It’s better for me on this particular project for me to not know and discover along with fans. 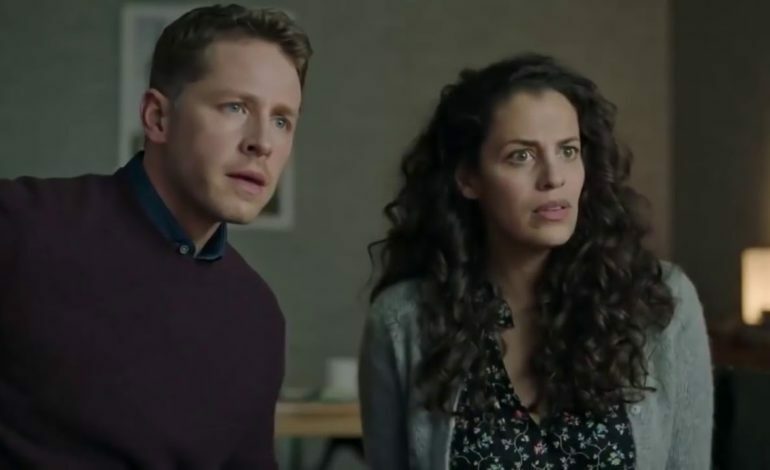 However, when talking about Manifest, Rake emphasized this, “I don’t know everything but I know a lot.” So it seems that whilst there is a lot planned, there is still room for evolution and change within the show and in the stories of the other 199 passengers on the plane. Manifest which will be released on the 24th September on NBC. See the trailer below.